Digital assistants like Alexa, Siri and Google Assistant are quickly becoming commonplace additions to our houses, offices and overall lifestyles. For the most part, that’s completely okay. These voice-based AIs add a new level of convenience to routine tasks and errands. But in some cases, they can also be downright creepy. Alexa, for example, has been known to spontaneously burst into laughter (although Amazon has since fixed this). Even more worrying is another recent case. 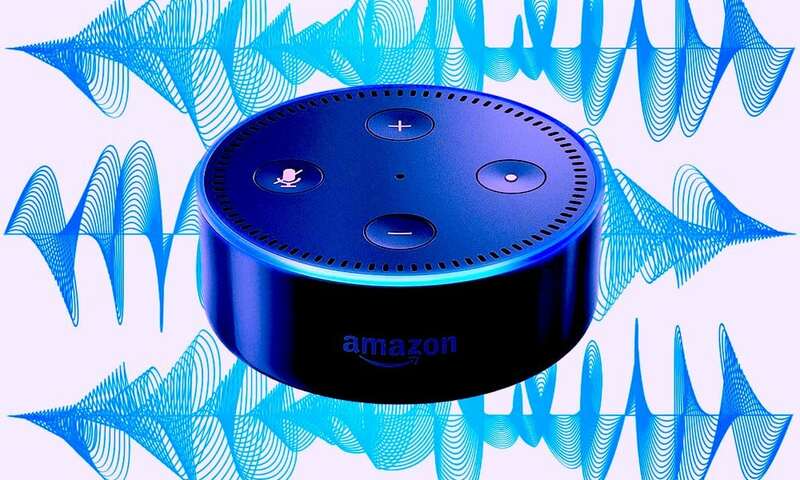 Earlier this month, a couple in Portland, Oregon told local media that their Amazon Echo had recorded a private conversation they had and sent those recordings to someone in their contact list — without their confirmation or knowledge. While that last case was likely a bug, it does bring up the inevitable question of privacy. In the wake of major data scandals and EU privacy protections, it’s a topic worth thinking about. While Amazon Echo devices only record audio immediately after they’ve been woken up, you probably know how easy it is to inadvertently wake the digital assistant. Many words or phrases can be mistaken for “Alexa,” and that’s not including the other Echo wake words. “Computer” and “Amazon” are even more common. If you’re worried, or just curious, about your own Amazon Echo, here’s how to check up on it. You might not know this, but it’s actually pretty easy to view a record of all of the interactions you’ve had with your own particular Alexa-bearing device. Here’s how. Tap the three-line menu icon in the top-left corner. Scroll down and tap on History — it’ll be under the Alexa Account subheading. In this menu, you’ll see a list of every single command or interaction you’d have with Alexa. These can be sorted by date if you’d like. If you tap on any of these, you can hear an actual audio recording of the interaction or command. You can delete audio recordings here, too. 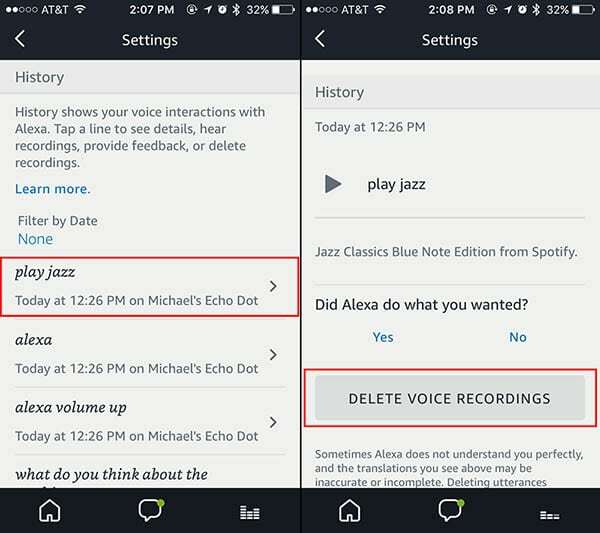 If Alexa was triggered accidentally, you might see an entry that says “Alexa,” “unknown” or “text not available.” You can still tap on these to hear the recorded audio — it might be useful in nailing down how Alexa was triggered accidentally. As mentioned above, you can delete individual audio interactions or recordings by tapping on them and hitting Delete Voice Recordings. To be clear, Amazon doesn’t just collect this data frivolously. The company says it collects, keeps and uses audio recordings to improve the overall Alexa experience. Ostensibly making the digital assistant more accurate in its day-to-day interactions. By recording and analyzing your command, tone of voice, and specific requests, Alexa can tailor the experience to your own preferences automatically. 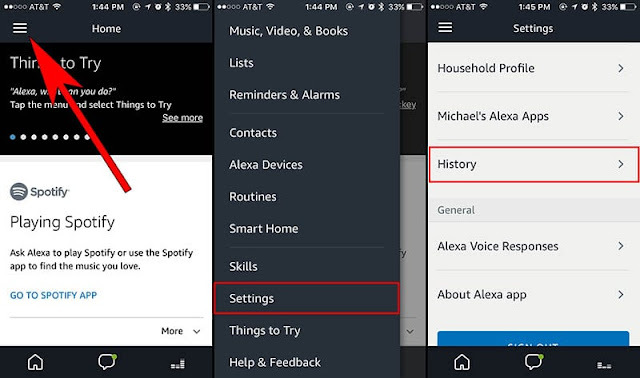 Amazon even creates a unique voice profile for each user that regularly interacts with a specific Alexa account. Of course, some users might be wary that Amazon is keeping tabs on your every interaction with its device. That’s especially true for random conversations or words that accidentally trigger the digital assistant and get recorded. Either way, it might be worth browsing through the History to see just what Alexa has heard.